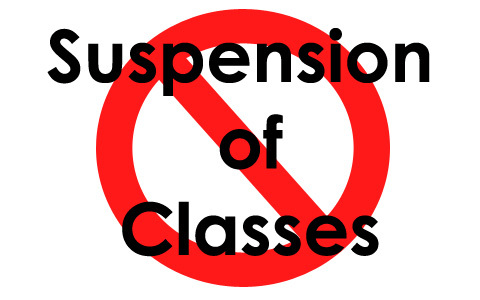 Extended class suspensions on Tuesday, August 20, 2013. PAGASA weather forecasters said Bagyong Maring maintained its strength and remained almost stationary for the past six hours, rains and floods expected to continue in several areas. (Update as of 7 am, Today - August 20, 2013) Class Suspensions announcement on Tuesday - August 20. The following cities and provinces listed below are affected by bad weather and floods, together with Colleges and Universities. Thank you for reading this post, If you like this details, please bookmark it now or visit this site more often for you to be updated. You may also share this post to your friends so they may know about #Walangpasok on Tuesday August 20, 2013. Comments or suggestions about "#Walangpasok on Tuesday August 20, 2013 | Class Suspended on Tuesday" is important to us, you may share it by using the comment box below.